At the very first day of my first year at a nursing school, we were asked this question ” Why did you take up nursing?”. Most of my classmates answered : to earn green bucks, to serve humanity, and because it was their parent’s decision and not theirs. Nursing is really boom in our country, wherever you go you can always see students wearing a white uniform. Most of the students really want to get out of the country and work abroad as a nurse and not in our own country. It was at that time that i hate nurses whose after is just to go abroad and earn green bucks. I use to call them “taksil ng bayan” ( the one that disowns his own country) , not until I graduated , got my license and started working as a nurse here in our country. I must say, now i understand. Nurses here in our country cannot live with kids to feed because of our very low salary. Not only that, people in our country view nurses as a maid ( maid that is high class with license). Most of the doctors i encountered do not know to value our work, some of the doctors do not really know what we do. They demand too much from us thinking that we are like superheroes , not knowing that we have lot of work to do. Sometimes they wanted that all of their orders must be done promptly. Oh well, i thank God that not all doctors are like that. Some can really understand us and appreciate what we do. 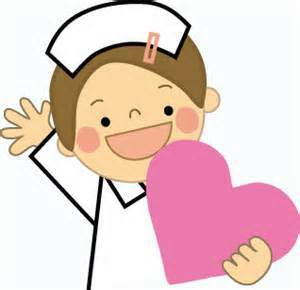 So if you are that someone who has plans to take up nursing , you have to make sure that you really love nursing. Because being a nurse takes a lot of patience, not only with your patients but also to the doctors and your colleagues.